As Administrator/Engineer it is important to audit the object access on the infrastructure to identify security issues, problems etc. it also helps to troubleshoot this issues. In windows folder or a file access can audit using audit object access policy. Same way the audit directory service access policy allows to audit access attempts to object in active directory. This is enable by default and configured to audit the “Success Events”. But there are few disadvantages on this. To overcome this issue windows server 2008 adds an auditing category called “Directory Service Changes”. With this we can simply identify the old and new attributes values. It is not enabled by default and needs to activate manually. 2) Load powershell console with admin rights. 3) Type auditpol /set /subcategory:"directory service changes" /success:enable and press enter. 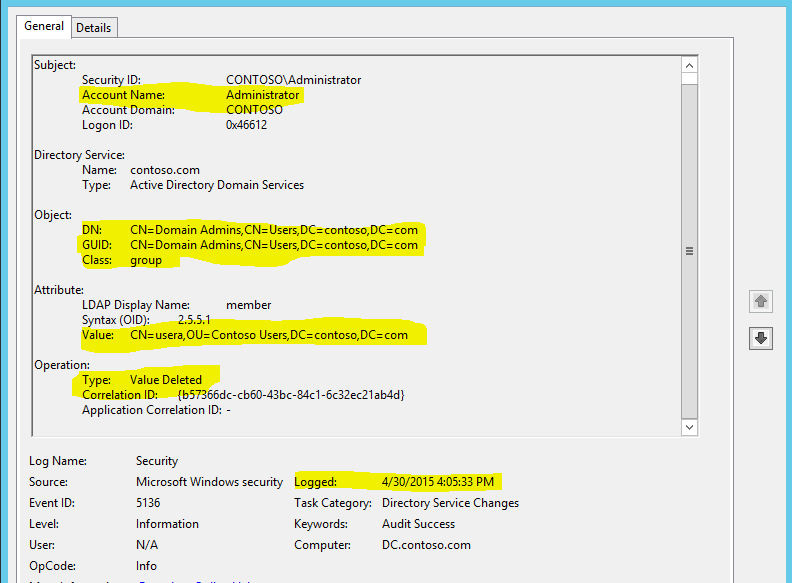 4) In order to test the auditing, I already have usera and userb added to the Domain admins group. I am going to remove usera from the group and check the auditing. As we can see it gives great deal of information which can use in troubleshooting, auditing. 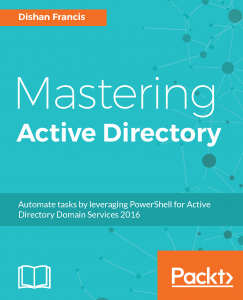 Why active directory sites and subnets? Thank you for showing this. I have been looking for different ways to solve my security issues. I think this will really help to correct things. I may have the IT support come and take care of this.